“How come your child responds in Spanish?” Substitute the word “Spanish” for whichever language you speak at home, and voilà, I am sure you will have heard that many times from bilingual families whose children refuse to speak the language of their bilingual father/mother. This is exactly what a dad with a Spanish wife and a child who, although seemed to understand Spanish, was unable/refused to speak it. asked my husband this summer. Is this such a strange situation? Sadly, the answer is no. 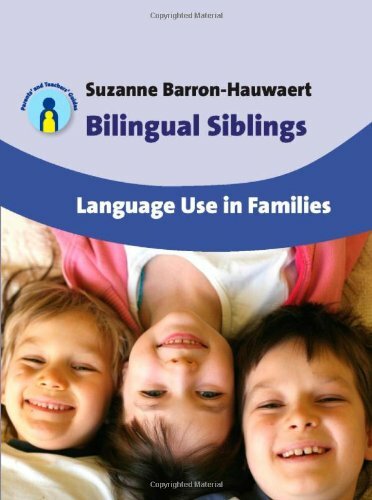 When I was a teenager and a young adult who was crazy about languages, I was convinced that children from bilingual families would be automatically bilingual. Now, with more years and a tiny bit more wisdom, I have come to realize that this is far from the truth. Bilingualism just does not grow on trees, and it is not absorbed from parents so easily. The answer that apparently so eludes so many can be summarized in three words, EFFORT (in capitals, yes), opportunity and time. I imagine in this day and age, when we are told more and more that schools are not about studying and making an effort, but about doing what “we can” and socializing, I won’t be very popular with this, but really, bringing up bilingual children does involve quite a lot of “EFFORT”. It does not mean that we have to suffer and make our children suffer, EFFORT does not mean that, but it does involve certain amount of “hard work”. A very good friend of mine, who thank God is not very politically correct and says things as they are, when discussing those parents who say “I was not able to bring her up speaking my language”, “she refused to speak it”, “it was very difficult”… she simply sighed and said… “well, really, it’s their way of saying they couldn’t be bothered, isn’t it?” Well, maybe I won’t go so fur as to say somebody can’t be bothered. It is true that we don’t now the personal circumstances of everybody, and it really can be difficult to speak with one’s children if you get home from work late and they are about to go to bed. But it is true that if you sow nothing you will get nothing. 1. Mum makes the effort to go to Spanish playgroup every week. 2. Mum makes the effort to speak all the time, everywhere, independently of who is there, to them in Spanish. 3. Parents make the effort to get children to speak to their Spanish speaking family and friends on Skype/phone almost every day. 4. Parents make the effort to organize activities with other Spanish speaking families. 5. Parents make the effort to surround their children with Spanish books/Spanish cartoons/Spanish radio. 6. There is a positive feeling in the family about speaking Spanish and the culture in general. 7. There is the positive reinforcement of other friends who speak the language of their grandparents/parents. I am sure they may be other things we do, or other things other people do that we don’t. But as you can see, all of these points have something in common: a great deal of effort, take advantage of every opportunity you have to expose them to the language and use as much time as you can to expose them to the language. It is true that children are different and they will react differently to different circumstances, but it is also true that if there are not exposed to the language as much as possible, they won’t have the inclination or opportunity to speak that language. After talking to this particular family I mentioned earlier, I realized that they did almost nothing to encourage their daughter to speak the language. The mum had always spoken to her in Spanish, but as they did not keep in touch very much with their people back in Spain and they had not encouraged social activities with other local Spanish families, they were quite isolated and out of touch with the Spanish speaking world. So, probably the little girl subconsciously had realized that “Spanish” was actually quite unimportant for her world and therefore did not develop the need to speak it. Which leaves us with “motivation”, it is very important that you create the motivation to speak the language. 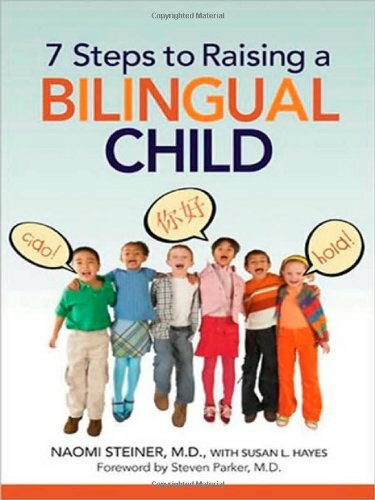 The task of encouraging your children to be bilingual does not have to be horrid, it is hard work for YOU, not for your children. It means you have to work hard to create the opportunities and give them the resources to develop the language. However, if you do it since the moment they are born, for them it will be just a language they use to communicate, the language they use when they have fun with their little Spanish friends in playgroup and with their family in Spain.